An orphanage in Africa. This phrase conjures up pictures of institutions full of hungry unhappy children desperately in need of food and love. When I tell people that I spend my summer holidays working at an orphanage, people’s faces fill with awe and pity for the poor orphans they imagine me caring for. Kedesh, in Chamba on the outskirts of Biera in Mozambique, is a far cry from this idea of an orphanage. Kedesh is named after a town in Israel, mentioned in the Bible as a city of refuge, and this is what it is to the boys living there. Rather than on orphanage, Kedesh is a place of refuge and a home. It is a home for boys who do not have homes or cannot live at home for various reasons. The head of this home is John Wickes. Late every afternoon he can be seen, hurtling down the dirt road towards Kedesh on his bicycle as all the village children run out of their houses to wave at him, his long hair flying out from beneath his faded cap, his beard and tie-dye t-shirt flapping in the wind while his sandaled feet pedal wildly. It was over a decade ago that he came to Mozambique and began to look after boys who had nowhere else to go, but to this day his thick American accent remains, even when he speaks Portuguese to the boys. Although certainly not the conventional type, John considers himself a missionary and is committed to bringing the boys up in a Judeo-Christian household. The day always starts with breakfast around the large table while John reads them a passage of scripture and explains it to them, making it applicable to everyday life in Mozambique. 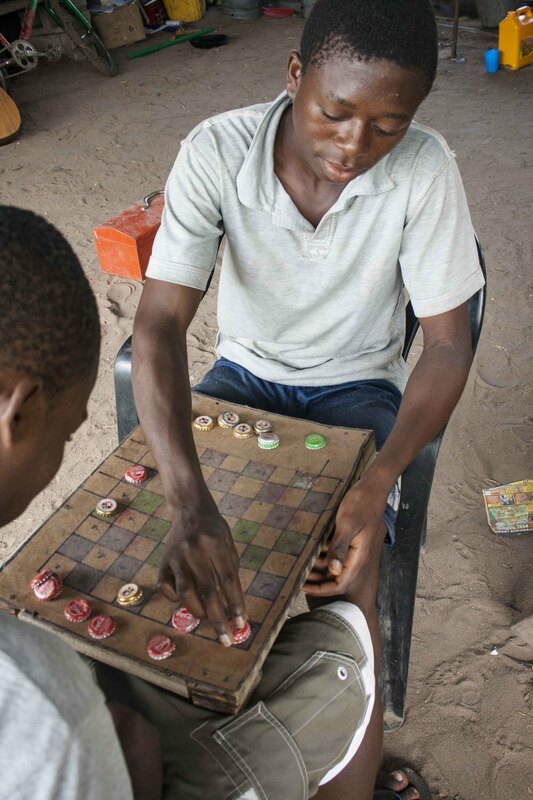 The boys are then free to do their chores and go to school, or in the holidays, to play. The boys are trained to take part in the everyday running of the home. They cook the meals, tidy the living area, tend the goats, work in the mashamba (vegetable garden), and help with whatever building projects are on the go. In an old blue container is an assortment of power tools which the older boys love to use to fix their bikes or gardening implements or make new toys or tools, and which john considers construction trade education. They also help with the distribution of food and supplies to widows in the community. But the boys haven't just learnt practical and moral lesson from John, they have also learnt what fun it is to play practical jokes on one another. Aside from the daily water fights, the boys love playing practical jokes on each other, on John, or the unsuspecting cats. The favourite joke is to hide in the mango trees or the upstairs rooms with a bucket of water and dump it on a passerby’s head. Next to the mango trees is the basketball hoop and the sandpit and near the bottom of the large property is a well worn soccer field where the local boys come and challenge the Kedesh team to a match every afternoon. Below this is a swampy lake, the vegetable garden and a grove of cashew trees which mark the edge of the property. Not only do these boys have more brothers, more tools, more toys, and more food than most of their contemporaries, they also have constant entertainment from the West. John’s upstairs room and his battered old laptop, his only connection with the world, become a home movie system as the boys gather round with popcorn in hand, to watch the latest season of Lost. And of course there are the visitors. Kedesh is more like a summer camp than an orphanage and attracts a number of visitors and volunteers. 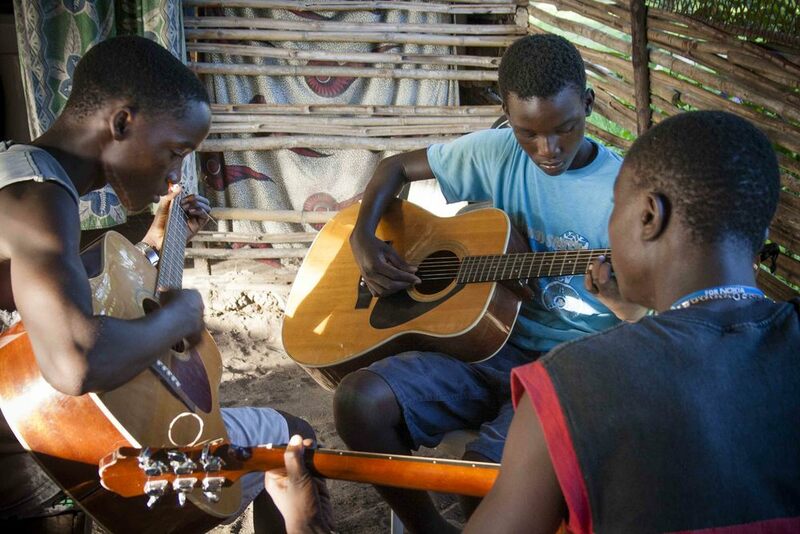 Not only does the money they pay to stay help cover costs at the orphanage, John also encourages visitors to interact with and encourage the boys as much as possible. This is often done simply by playing Uno with them or helping them weed the vegetable garden, not that they need the help, but just to enjoy their lively company. Although there are difficulties like thieves and politics, noisy neighbours and worldly temptations, John does his best to love these boys and raise them according to his Christian principles, and even though these boys have to leave their home when they turn 18, they often return for Jewish feasts, competitive soccer games or just to say hi to their very large family. This story was written a number of years ago and most of these boys have gone on to find good jobs but always come home for a visit. To follow the story of Kedesh, check out their Facebook page here.